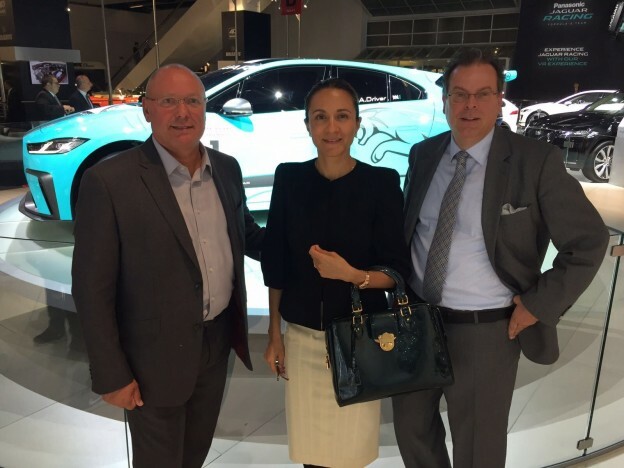 From left to right: The LIASE Group’s Adam Pumfrey, Managing Director U.K.; Vanessa Moriel, Managing Director Asia; and Wolfgang Doell, President and Managing Director Europe at the Jaguar Booth. 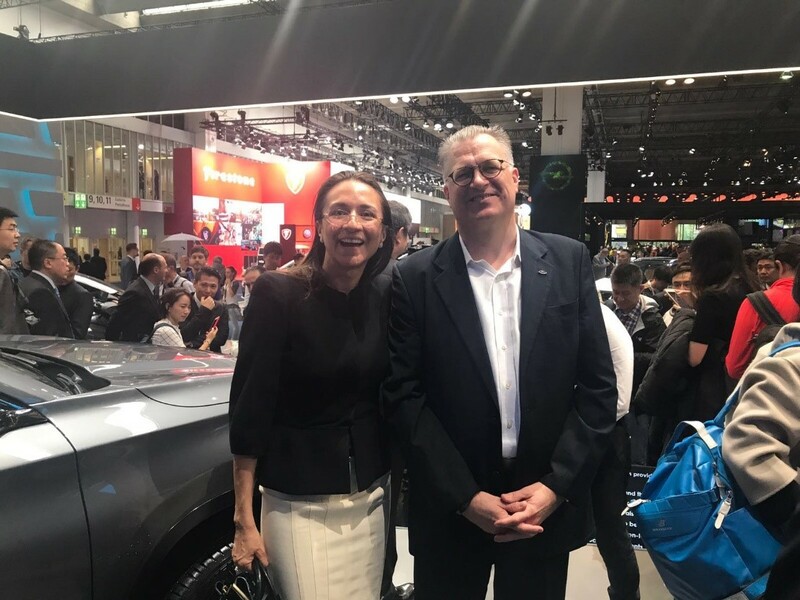 The LIASE Group’s Wolfgang Doell, President and Managing Director Europe; Vanessa Moriel, Managing Director Asia; and Adam Pumfrey, Managing Director U.K., attended the 67th International Motor Show (IAA) in Frankfurt am Main Press days and the opening of the show on September 12 to 14, 2017. 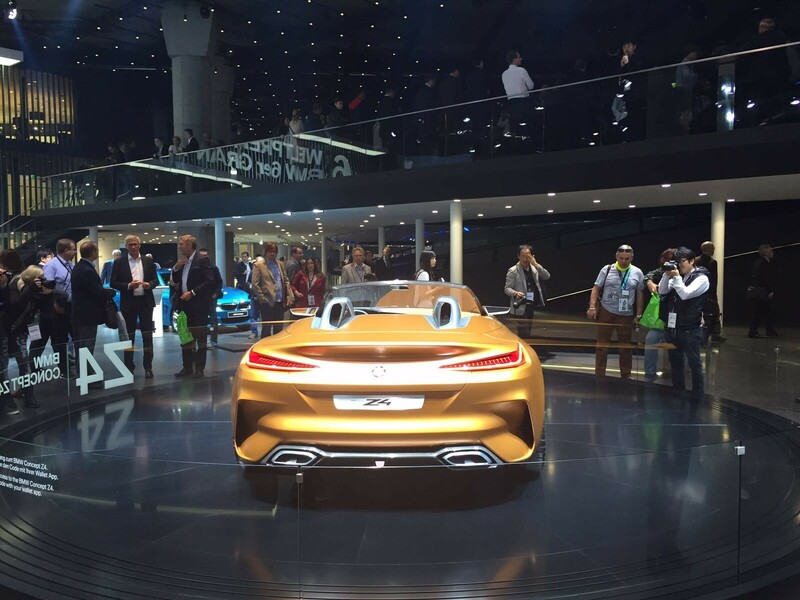 IAA is the largest auto show in the world and featured many world premieres by German OEMs. 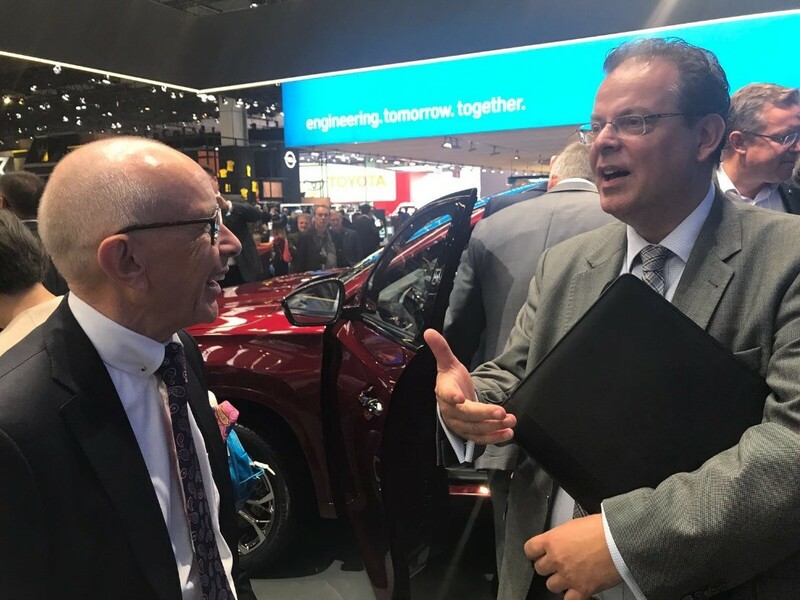 As usual, the auto show was a great opportunity for LIASE to network with auto executives and stay on top of industry trends. Here’s what they saw. The IAA came just ahead of the German federal election. 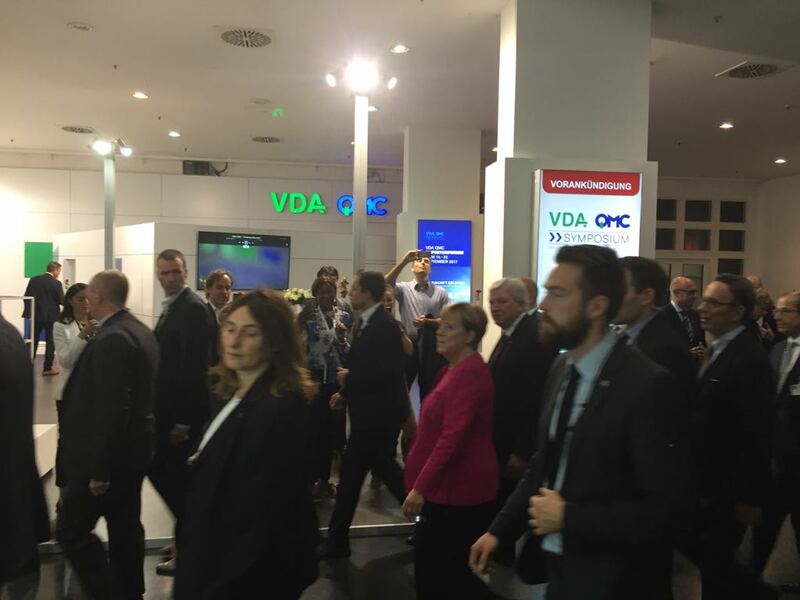 Germany’s returning Chancellor, Angela Merkel, made her views about the German Automotive clear during the campaign: It’s time to electrify and help consumers switch. Combined with China’s recent push for electrification, the pressure’s now on for OEMs electrify and sell more electric vehicles (EV) and hybrids. However, the low price of gas, the lack of EV charging infrastructure, lagging battery technology and an unwillingness on the part of many consumers mean that the combustion engine is clearly not about to go away. This was represented by the fact that while German automakers, eager to turn the corner on the ‘dieselgate’ emissions scandal, presented a number of sleek, self-driving electric concepts, Nissan and Tesla – the only two carmakers actually mass producing electric cars – weren’t present at the IAA. SUVs reigned supreme at this year’s IAA, accounting for a majority of model launches. These launches ranged from Volkswagen’s sporty T-Roc, to the updated Dacia Duster. 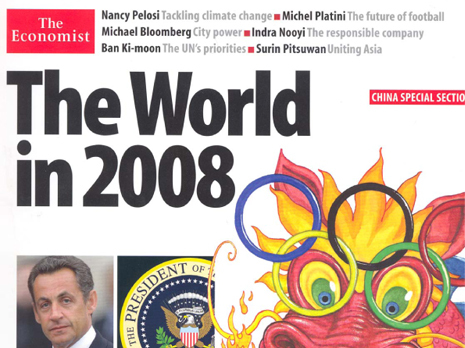 Chinese automakers weren’t left out of the action. Chery and Wey both unveiled compact 4x4s. BMW also unveiled a competitor to Mercedes’s G-Wagon and Audi’s Q7. The new BMW X7 Concept will come with seven seats and will include a plug-in hybrid version. BMW was firing on all cylinders at this year’s IAA. 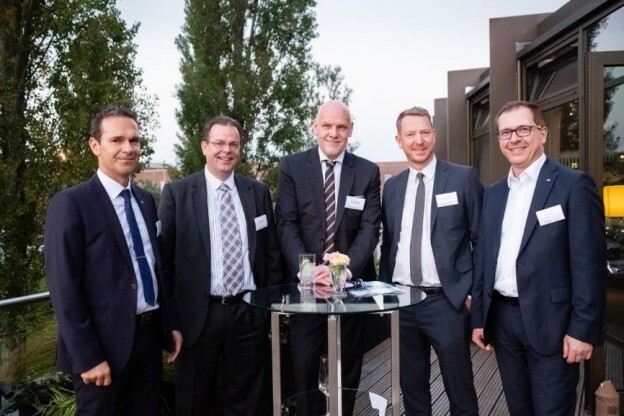 BMW showcased its latest technological developments, including powertrain electrification, comprehensive digitalization and advances in the field of automated driving. In the luxury segment, the BMW Concept 8 Series and the BMW 7 concept made a remarkable appearance. So did the BMW Concept Z4, the new BMW 6 Series Gran Turismo and the new BMW X3. 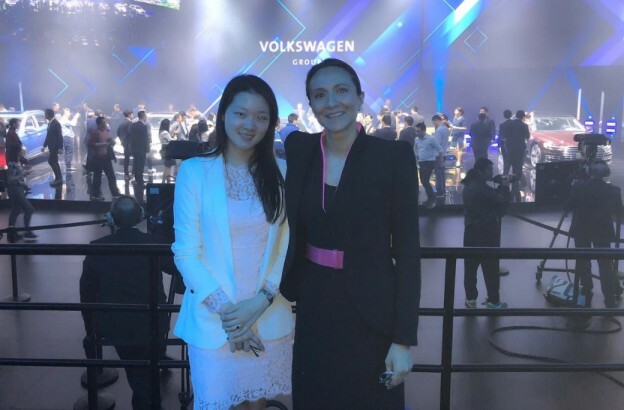 Not to be left out, Volkswagen group unveiled the new Audi A8, “the first production automobile in the world to have been developed for highly automated driving,” the Audi RS 4 Avant, and the third generation of the Posche Cayenne. 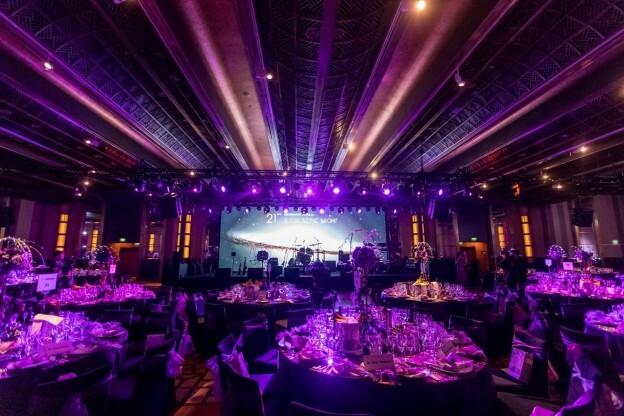 It was also the market launch of the new SEAT Arona, and the automaker unveiled the new Volkswagen T-Roc, a new sub-compact crossover, the brand’s challenger for the Nissan Qashqai. 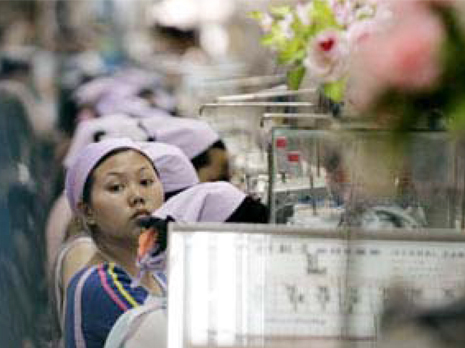 Taiwanese upstart Thunder Power was back at Europe’s top industry showcase. Positioned next to European luxury brands Maserati and Ferrari on the showroom floor, Thunder Power unveiled a high-end electric SUV prototype set for mass production in 2020. The firm already has a factory in China and plans to set one up in Spain.Thunder Power eventually aims to sell 40,000 units a year in Europe, he said. 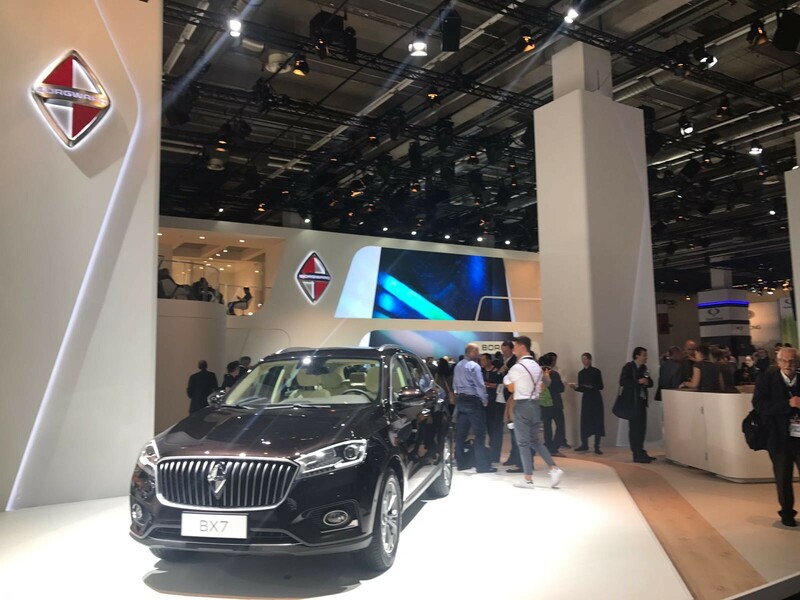 German brand Borgward, which was brought back to life in 2015 with the help of Chinese truck maker Beiqi Foton, showed off the limited-edition BX7 SUV. The new luxury SUV will go on sale in Germany first before other models are launched across the continent. 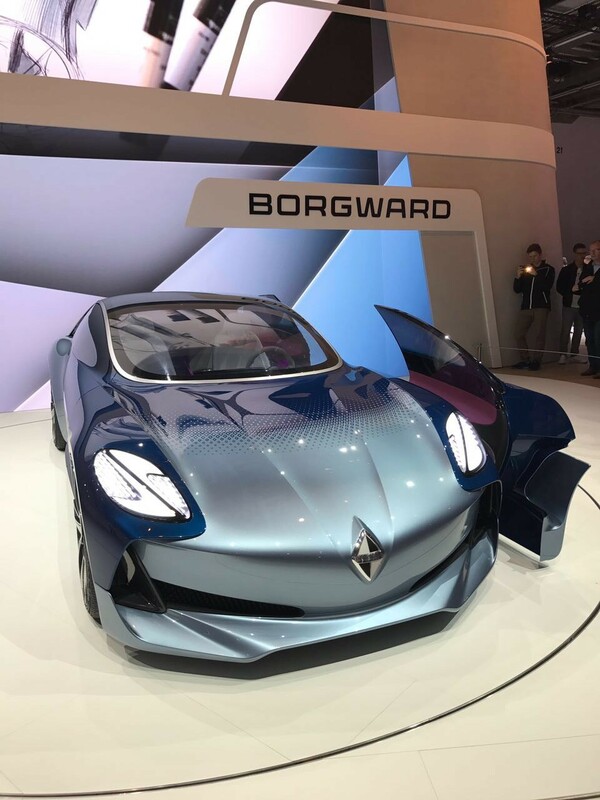 Borgward also unveiled a sporty Isabella concept car. The German-Chinese manufacturer plans to increase its European footprint by building an assembly plant in Bremen, northern Germany, next year. 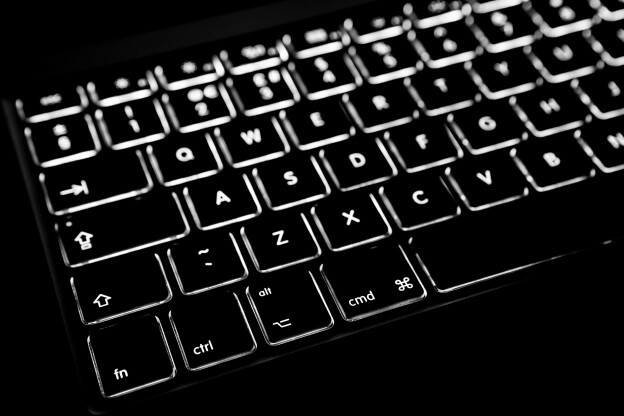 Production is slated to begin for 2019. WEY, the new luxury label of Chinese carmaker Great Wall, showcased a range of compact 4x4s, with both combustion and hybrid drivetrains. It also showed off its XEV concept, a crossover with futuristic-looking gullwing doors. No European launch plan was announced. Chery displayed the Exeed Tx. Produced in China, this crossover has been developed for European customers, and will launch with three electrified powertrains: hybrid (HEV), plug-in hybrid (PHEV) and battery EV (BEV). 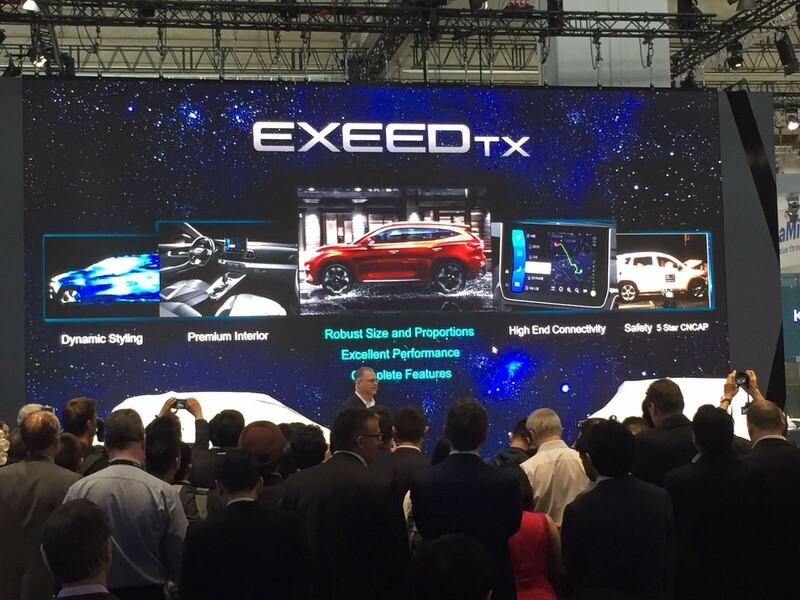 Not to be outdone by OEMs major automotive suppliers also made major announcements at Frankfurt. Continental unveiled 3 new tire concepts: ContiAdapt is a tire and wheel combo that features microcompressors that can adjust the tire pressure, inflating and deflating it as necessary, and hydraulics to change the width of the rim so the tire can lower pressure for improved grip on a slippery road and increase pressure for a smaller footprint l fuel economy on a dry highway. ContiSense is a tire that adds sensors and a layer of electrically conductive rubber to the tire in order to detect when a metal object punctures it. Other sensors and an app are also included in the concept that is meant to attract fleet managers at first. Taraxa Gum is conceived of as a replacement for natural rubber. The idea is to use Russian dandelions as a replacement material that could be grown close to factories. a dynamic demonstration of Magna’s scalable autonomous driving platform. Adient, the leading supplier of automotive seating, showcased its vision for interiors, and especially the vehicle seating system, in a concept where new forms of mobility such as autonomous driving, car sharing and electromobility are changing how we get around. Adient. Bosch showcased new technologies such as its Automated valet parking (driveless parking), over-the-air software updates, and the electric axle (e-axle), a cost-optimized solution for electrical powertrains in EVs and hybrids, whereby the electric motor, power electronics, and transmission are integrated in a compact unit which directly drives the vehicle’s axle. 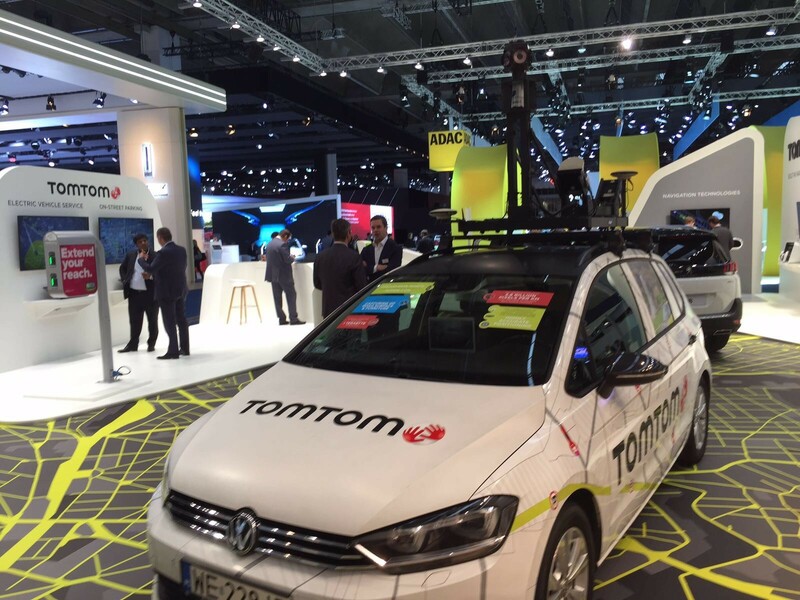 TomTom, a navigation technology company, announced a deal with Daimler who will use TomTom maps for its infotainment platform in North America. They also showcase their real-time EV charging service, which has been developed to help EV drivers to make informed decisions about when and where to charge their vehicles, reducing range anxiety. LIASE group participated in the New Mobility World B2B event that was held in parallel with the main IAA auto show from September 14 to 17, 2017 brought together technology firms, the automobile industry, start-ups and disruptors to discuss and build the future of mobility. The entire spectrum of the new mobility industry was represented at the conference. 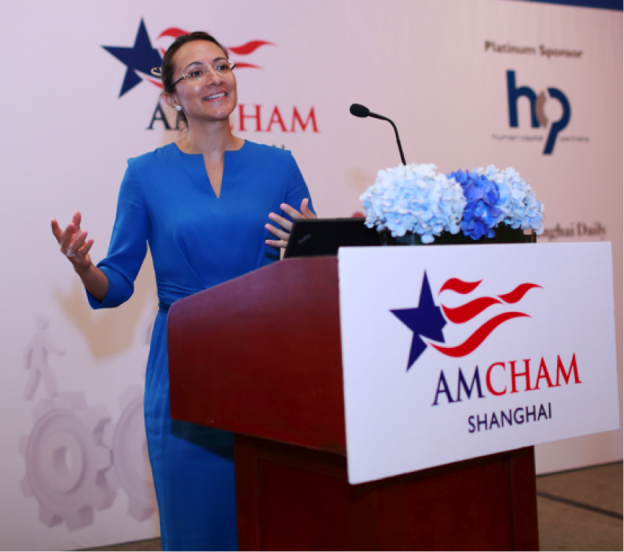 Exhibitors included tech giants like SAP, semiconductor manufacturer NXP, start-ups and software companies like Facebook. Erez Dagan, Senior VP Advanced Development & Strategy, Mobileye Vision Technologies Ltd.
Christoph Weigler, General Manager Germany, Uber Technologies, Inc. 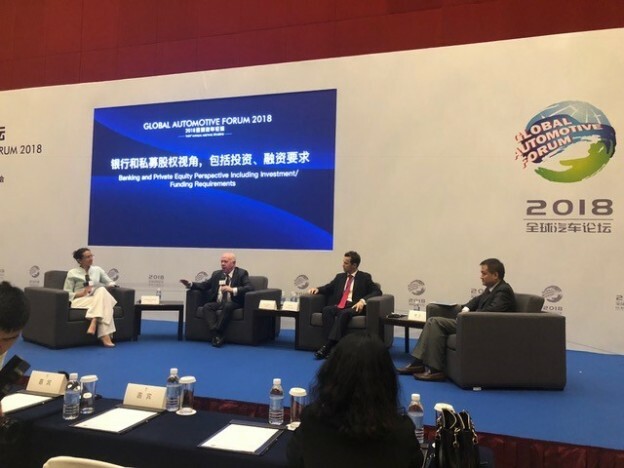 The New Mobility World Exhibit and conference was a great opportunity for LIASE to network with the speakers and industry leaders present at the event and gain insights into the future of mobility. 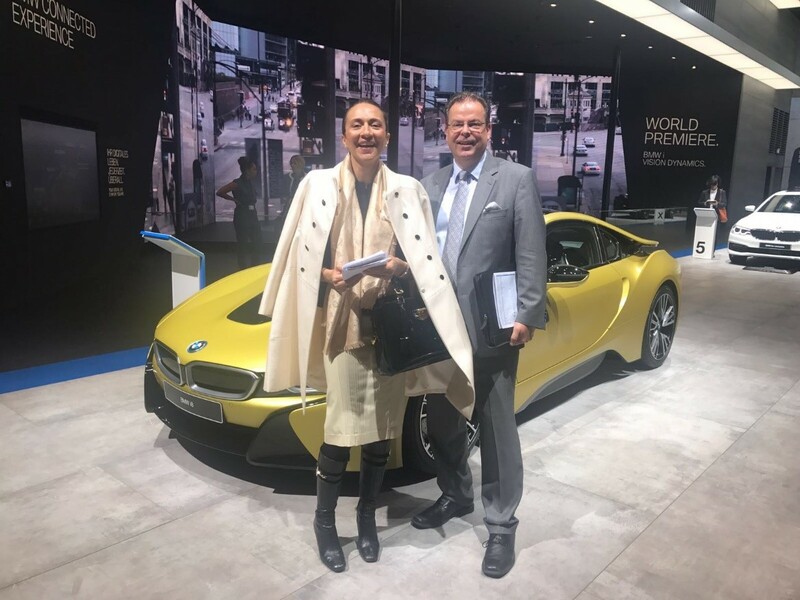 Vanessa Moriel, Managing Director Asia (left); and Wolfgang Doell, President and Managing Director Europe at the BMW booth. 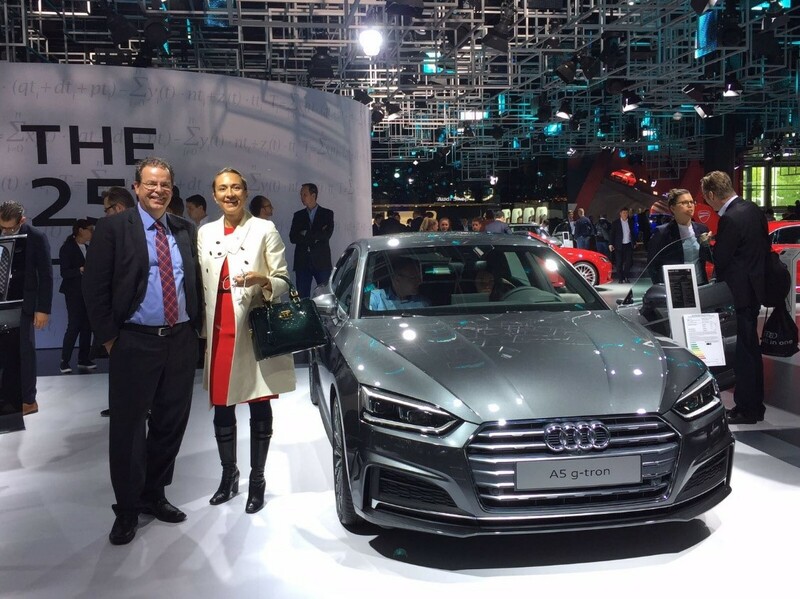 Vanessa and Wolfgang next to the Audi A5 g-tron, which can run on a choice of climate-friendly Audi e-gas, natural gas (CNG) or gasoline. 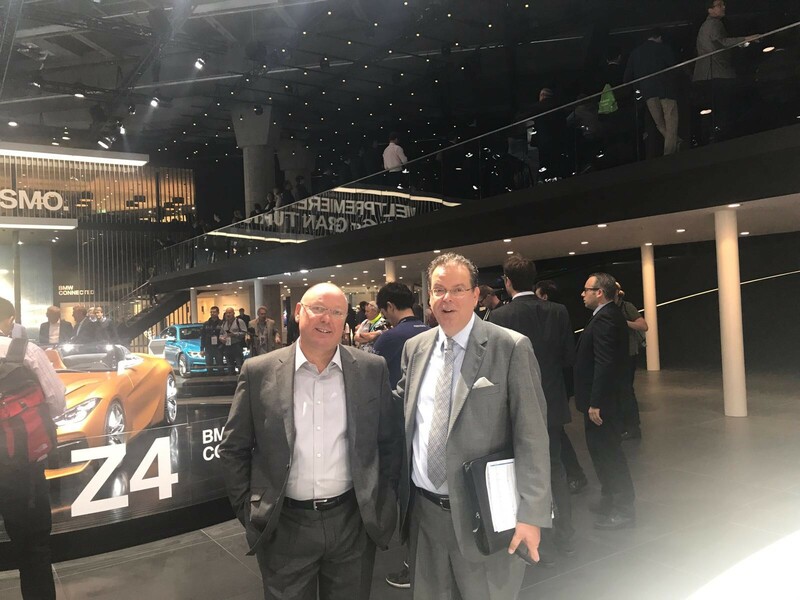 Adam and Wolfgang at the new BMW Z4 Concept, co-developed with Toyota. 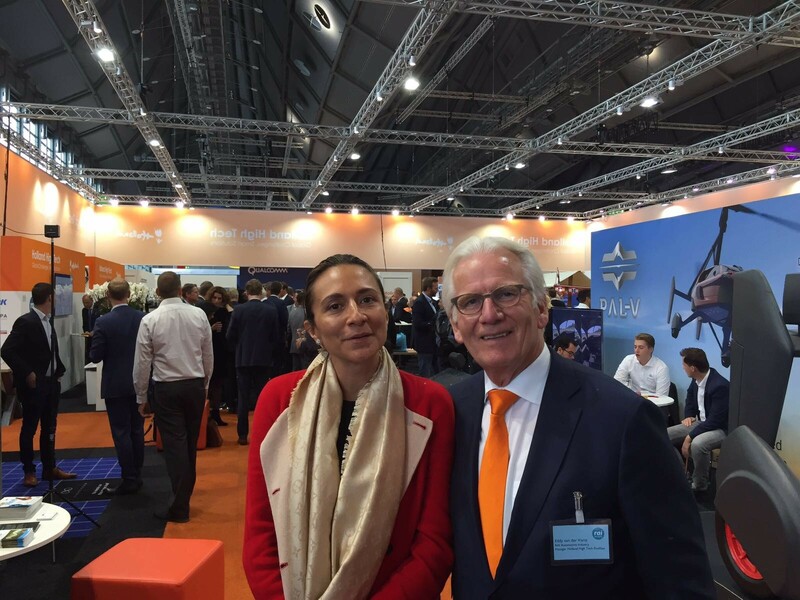 LIASE Group Managing Director Asia, Vanessa Moriel and Eddy van der Vorst at the Holland High-Tech Pavilion. 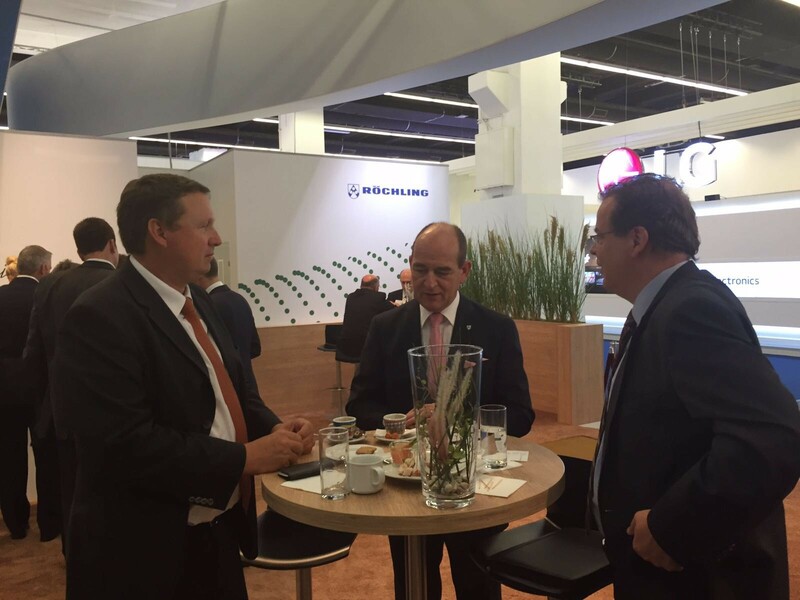 LIASE Group’s President and Managing Director Europe, Wolfgang Doell (right). LIASE Group Managing Director Asia, Vanessa Moriel (left) with Senior Executive from Chery. Erwin Doll, CEO from Röchling and Wolfgang Doell, President and Managing Director Europe from LIASE Group. 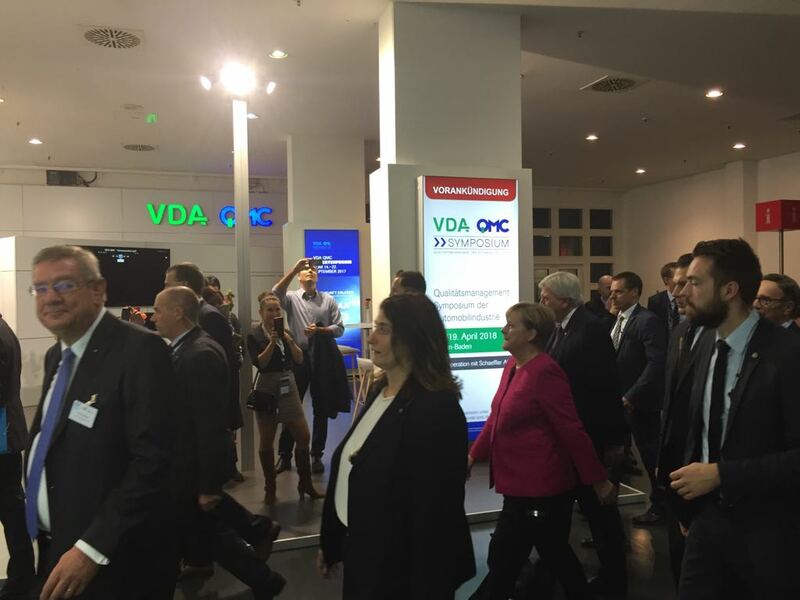 Angela Merkel at the Frankfurt 2017 auto show. Chinese automaker Chery displayed the Exeed Tx. Produced in China, this crossover has been developed for European customers, and will launch with three electrified powertrains: hybrid (HEV), plug-in hybrid (PHEV) and battery EV (BEV). TomTom announced a deal with Daimler who will use TomTom maps for its infotainment platform in North America. They also showcase their real-time EV charging service, which has been developed to help EV drivers to make informed decisions about when and where to charge their vehicles, reducing range anxiety. 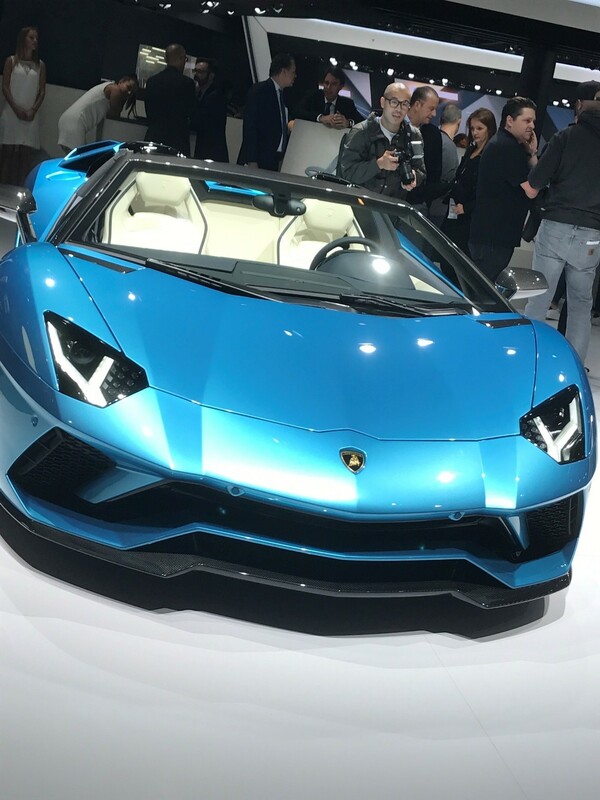 The Lamborghini Aventador S Roadster made its public debut at the 2017 Frankfurt show. In continental Europe the sportscar will be priced at EUR 313,666 and around $460,000 in the USA. Deliveries are scheduled to begin in February 2018. Sino-German luxury carmaker Borgward unveiled a sporty Isabella concept car. The backside of the BMW Z4 Concept, built on a platform co-developed with Toyota. 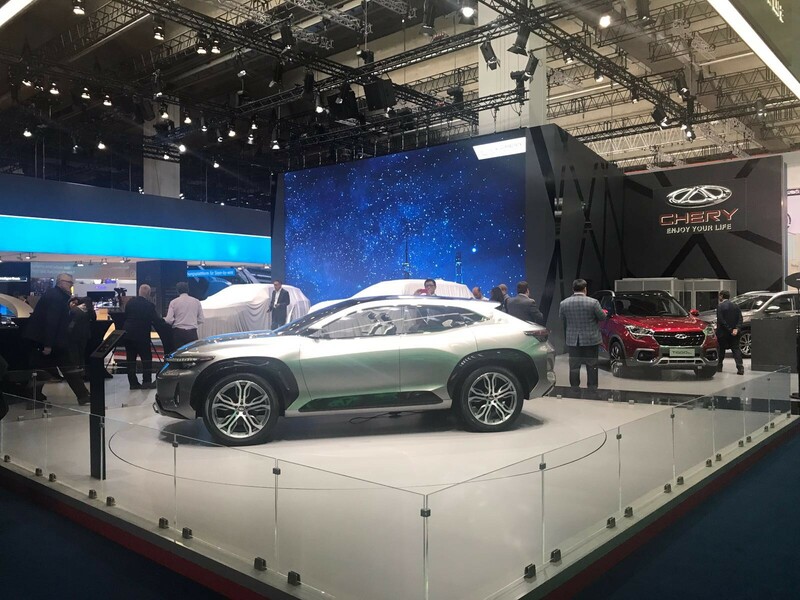 A picture of Chery’s Exeed Tx unveiled at the 2017 IAA in Frankfurt. 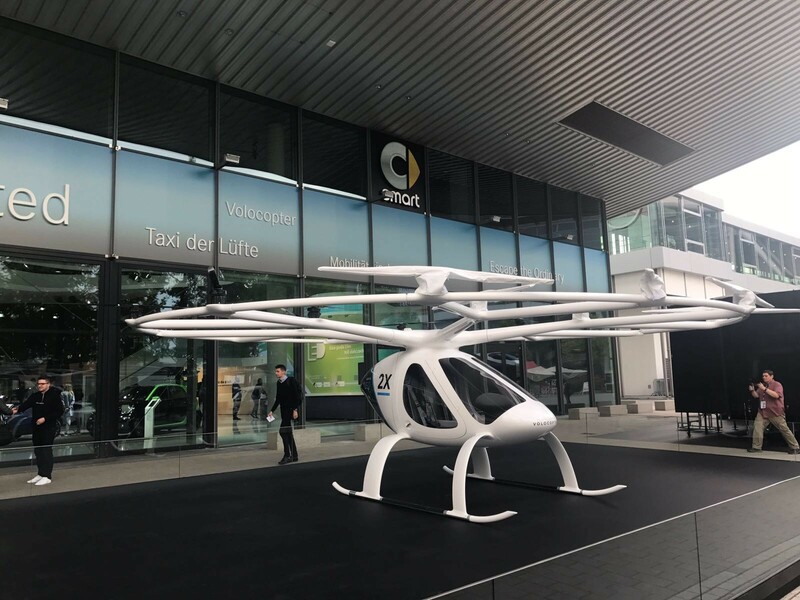 The Volocopter was on display in Frankfurt. Daimler has invested millions into the company and Dubai is reportedly interested in using them as flying taxis. Borgward showed off the limited-edition BX7 SUV. The new luxury SUV will go on sale in Germany first before other models are launched across the continent.